When, in 1935, Specification F.9/35 was issued for a two-seat interceptor fighter to replace the Demon, both Hawker and Boulton Paul tendered proposals for aircraft fitted with the Boulton Paul turret mounting four 0.303-in (7,7-mm) machine guns. 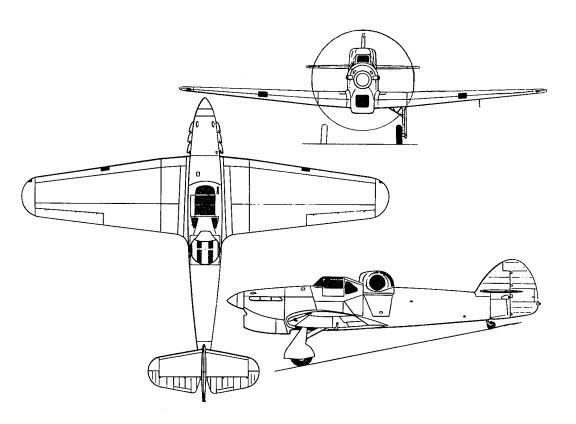 Hawker's submission was based on redesign of the Henley light bomber, prototype construction of which had just commenced. Like the Henley, it utilised standard Hurricane outer wing panels. 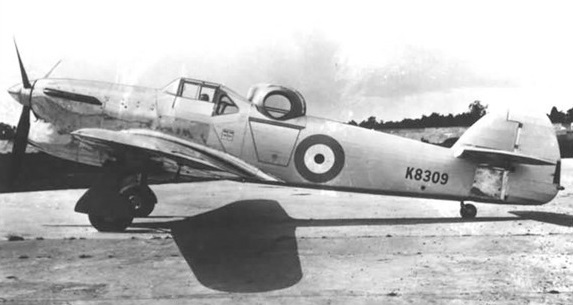 Dubbed Hotspur, the prototype (K8309) of the two-seat fighter was not flown until 14 June 1938, and then with only a wooden mock-up of the turret and with ballast equivalent to the weight of armament. Powered by a 1,030 hp Rolls-Royce Merlin II, the Hotspur proved faster than the competitive Boulton Paul Defiant, but as Hawker and its parent Group were fully committed to production of the Hurricane, no effort was made to bring the prototype Hotspur up to representative Service standard and development was discontinued, the aircraft subsequently being utilised for flap and dive brake development.